Video: NYU Stern Graduate Convocation 2017: Dolly Chugh. Video: NYU Stern: Thomas Kail of Hamilton Joins Dolly Chugh's Managerial Skills Course. Video: re:Work with Google: Are We as Ethical as We Think We Are?. 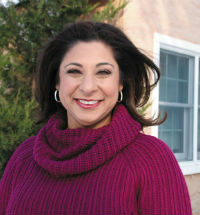 Dolly Chugh is an award-winning, tenured professor at the New York University Stern School of Business. She studies implicit bias and unintentional unethical behavior (“bounded ethicality”). Chugh teaches MBA courses in leadership, management, and negotiations, and is the faculty chair of the LAUNCH Orientation program. She studies socially charged issues like race and gender, and brings these normally undiscussed issues into the MBA classroom. Her goal is to engage business students in important societal issues and to equip them to do the same with others. 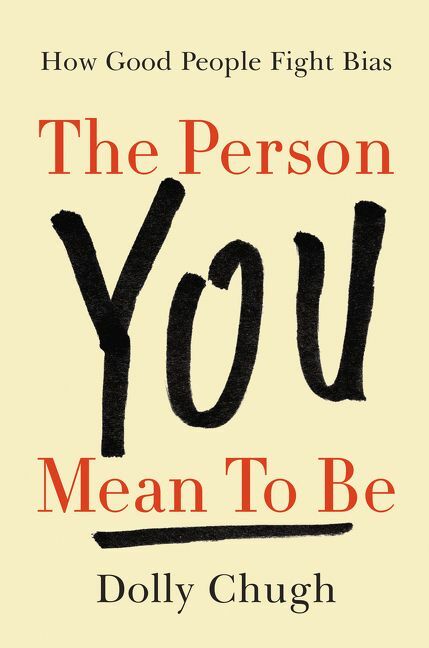 Chugh’s first book The Person You Mean to Be: How Good People Fight Bias (HarperBusiness) is an inspiring guide on how to confront difficult issues including sexism, racism, inequality, and injustice so that you can make the world (and yourself) better. Many of us believe in equality, diversity, and inclusion. But how do we stand up for those values in our turbulent world? The Person You Mean to Be is the smart, "semi-bold" person’s guide to fighting for what you believe in. Using her research findings in unconscious bias as well as work across psychology, sociology, economics, political science, and other disciplines, Chugh offers practical tools to respectfully and effectively talk politics with family, to be a better colleague to people who don’t look like you, and to avoid being a well-intentioned barrier to equality. Being the person we mean to be starts with a look at ourselves. Chugh has published more than 20 articles and book chapters on these topics in top managerial and academic publications, such as the Harvard Business Review, Psychological Science, Social Justice Research and The American Economic Review. Her work has appeared in Lean In by Sheryl Sandberg and What Works by Iris Bohnet, as well as a recent White House Council of Economic Advisors Issue Brief. She has appeared live on the Melissa Harris-Perry Show on MSNBC, and her research is regularly featured in numerous media outlets, including National Public Radio, NBC News, Scientific American, Forbes, The Washington Post, CosmoGirl, The New York Times, The Economist, The Huffington Post, The Financial Times, and The Stanford Social Innovation Review. Her first-authored Sunday New York Times Op-Ed, titled “Professors Are Prejudiced, Too” (with Katherine Milkman and Modupe Akinola), was in that weekend’s Top 20 most-emailed/read/tweeted articles. Chugh has been named one of the Top 100 Most Influential People in Business Ethics (a list that included Pope Francis, Angelina Jolie, and Bill Gates) by Ethisphere Magazine, a finalist for the Faculty Rising Star Pioneer Award by the Aspen Institute, and the recipient of the prestigious New York University Dr. Martin Luther King, Jr. Faculty Award (whose past recipients include Bryan Stevenson). As one of the most highly rated business school professors at New York University, she received the Stern School of Business Teaching Excellence Award in 2015. Currently, she resides in New York.